The bosses at PIMCO got paid last year. It should go without saying those are just astronomical numbers. What’s odd about this is that PIMCO’s flagship Total Return Fund, which was managed by Gross, was an underperformer during this period. “While PIMCO does not comment on compensation, the figures provided to Bloomberg are not correct. For more than three decades, PIMCO’s Managing Directors have maintained a substantial interest in the firm, currently 30% of profits and this provides an important means to attract and retain the best investment talent to serve our clients,” said a PIMCO spokesperson. 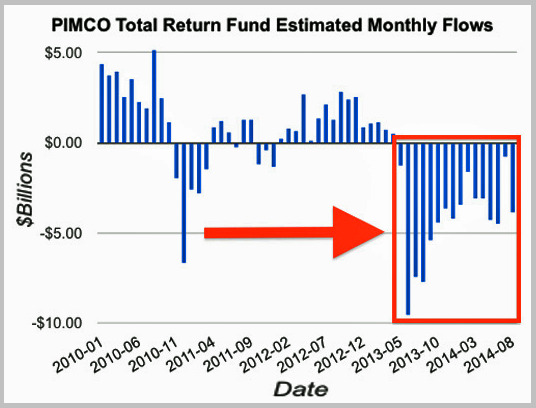 PIMCO is a fund behemoth with a whopping $US1.47 trillion in assets under management as of September 30, 2014. The firm attracted a lot of unwanted attention when then CEO Mohamed El-Erian shocked the world with his surprise resignation. That was quickly followed by a series of stories from the WSJ and Reuters about the unorthodox management style of founder and then-co-CIO Bill Gross. Meanwhile, the Total Return Fund booked 16 straight months of outflows through August for a cumulative total amount of about $US68 billion. And after around nine months of drama, Gross rocked the finance industry with his own resignation announcement in September. In September, the Total Return Fund experienced a breath-taking $US23.5 billion in net outflows. 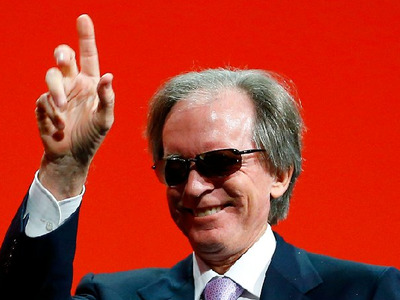 “Of note, the largest daily outflow occurred on the day of Bill Gross’s resignation from the firm, while outflows on the two following days were considerably smaller,” PIMCO said in an October 1 press release. Gross is now manager of Janus’ tiny Unconstrained Bond Fund. According to Bloomberg’s Mary Childs, the fund’s assets under management more than quintupled to $US442.9 million.